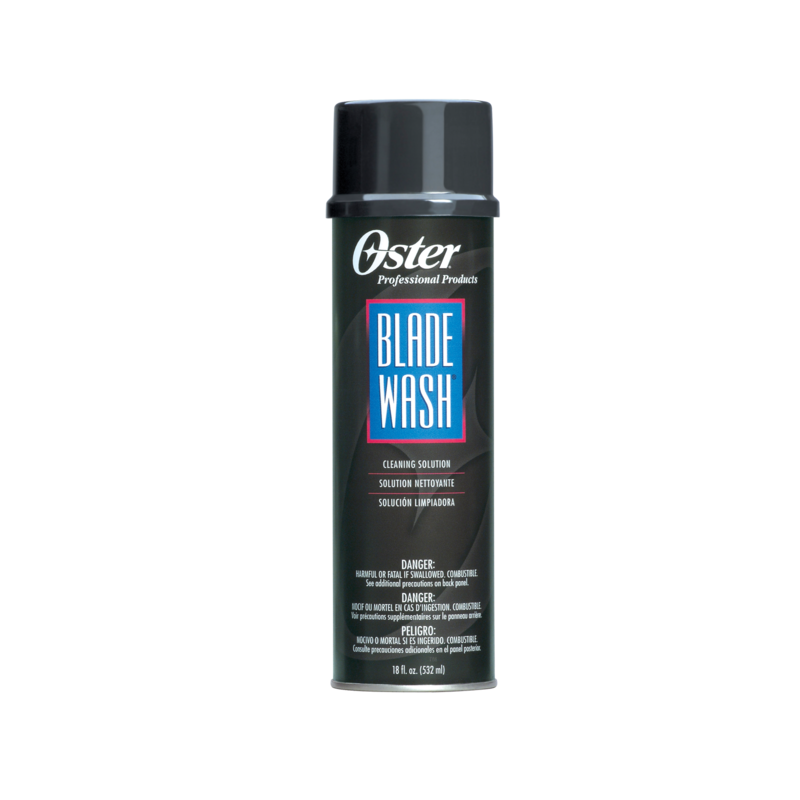 Oster Blade Wash Cleaning Solution easily flushes away hair that accumulates on cutting blades. Cleans off any dirt or other debris that can accumulate and affect the performance of the blade. Prepares new blades for use by removing any factory applied substance. Provides lubrication for clipper blades. New blades are usually coated with preservative that may affect cutting. Immerse new blades in Oster Blade Wash following the directions. - Pour Blade Wash into a shallow container, such as a small bowl or saucer. - Immerse clipper blades while clipper is running. DO NOT immerse any part of clipper. - Remove blades from Blade Wash and wipe dry with a clean, dry cloth. - Then apply a thin film of clipper oil before use.